Business Insider published an article called ''The most plausible theory for the plane disappearance'' where it cites the opinion of former pilot Chris Goodfellow. He wrote on Google Plus that, in his opinion, just before the plane disappeared from the radars, one of the landing tires caught fire which caused the cabin to fill with smoke. The alerted pilots turned the plane to the nearest airport where landing would be possible, called Pulau Langkawi. That explains the deviation from the original route. The reason why the pilots have not contacted the ground is that if a problem occurs, communication with the control towers is not the priority, but solving the problem and maintaining the aircraft on the route is. So before they got to communicate with the ground, the pilots probably fainted or died, says Goodfellow. 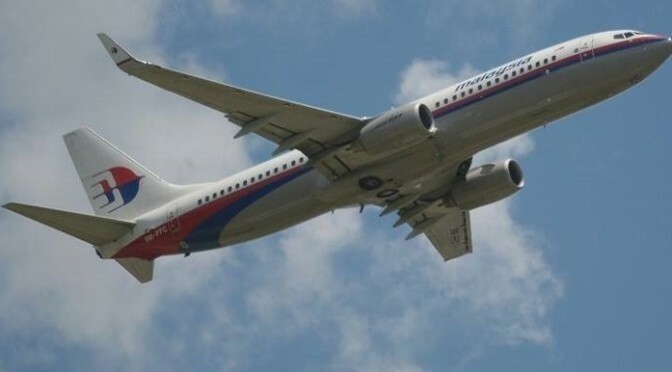 Then, the plane continued flying on autopilot, passed over Pulau Langkawi airport because there was nobody to land it, flew until the fuel was over and plunged into the Indian Ocean. Business Insider writes that this is the best theory because it is the easiest and fits with all details known about MH370. Facebook has created an algorithm that can recognize human faces from several photos published in this social network. DeepFace can identify any person with an accuracy of 97.24%, the same as a human. The technology used is the algorithm for DeepFace is the one Facebook bought last year with the acquisition of Israeli face.com. The program first performs a 3D model of the face of a person from a picture. This way the picture can be rotated to get into the best position to be recognized then using the algorithm. The database in which the person is searched now contains over 4 million images, including over 13,000 human faces that are downloaded from the Internet. Using this technology Facebook will find out who are the real friends of a user. "They could identify anyone who appears in your photos posted on Facebook" said Christopher Kanan, of the California Institute of Technology. Details of this algorithm will be presented in June at the Computer Vision and Pattern Recognition Conference, which will take place in Columbus, Ohio. Ray Kurzweil is an inventor, futurist and A.I. (artificial intelligence) specialist renowned for both his inventions and for the many predictions that he has made ​​in the past decades and had come true. 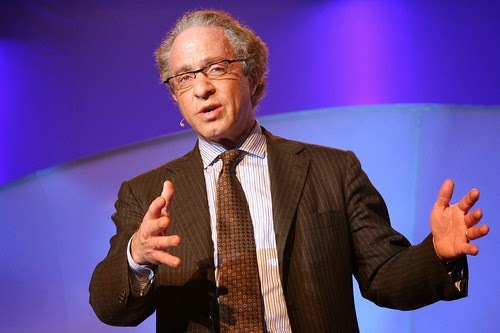 Kurzweil invented many technologies, such as the flatbed scanner, OCR technology, text reading systems and voice recognition. Among his predictions are that the Internet will play a central role in people's lives (which he claimed in the '80s, when the Internet was a network known to few people ) that people will be defeated by a computer at chess ( eight years before Garry Kasparov lost against Deep Blue ) and that the Soviet Union would collapse. Today, Kurzweil is working for Google’s Engineering Director so that he is no longer confined just to predict the future, but also plays an active role in shaping it. Among the projects the inventor carries out at Google is the search engine of the future which will be able to answer complex questions , understand the information contained in the documents that it finds , and even to identify information that could be useful to people. "Google has taken the first steps toward understanding the meaning of the information they are looking for and already can understand a little of what it reads. In fact I'm working on making the search engine understand even Web content” said Kurzweil at the CIO Network conference organized by the Wall Street Journal. Kurzweil argues that the technological achievements will be part of a larger phenomenon, which occurs quite fast: integrating human intelligence with artificial one. “We will expand what we are. We will become more non - biological "says Kurzweil. Biological abilities of the human mind develop in a linear way, while the non -biological technology grows exponentially, which is why Kurzweil believes that by 2029 artificial intelligence will get to have skills similar to those of humans. “Today, a child in Africa who has a smartphone can access all the human knowledge, which was not available even to the U.S. president 15 years ago. This rapid progress will continue to manifest in an exponential way" said the specialist. “By 2045, we will expand intelligence billion times," states Kurzweil. 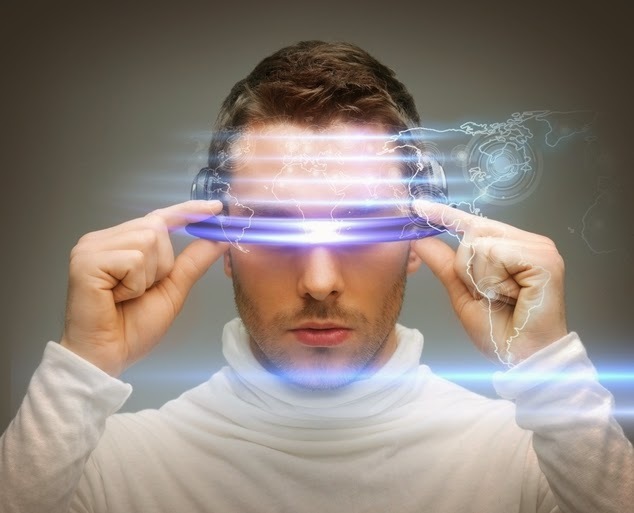 If these statements are too difficult to believe, then you will certainly be amazed by the other predictions of the futurist, which he recently revealed in an interview with British newspaper The Times. "Google cars that drive themselves have come so far over 800,000 miles on city roads without drivers and being controlled without causing any accidents. In 10 years they will be ubiquitous. People have a limited visual field, while these machines have visual sensors, lasers and an artificial intelligence that allows them to analyze what is happening in their environment. Ultimately these machines will communicate with each other and coordinate their movements. 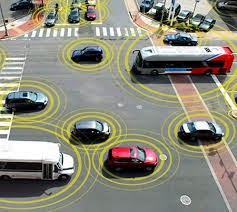 We will not need to own a car, but there will be more cars in circulation, and when we need one we can benefit from its services through a simple command from your mobile phone” says Kurzweil. "At this time, the search is based mostly on keywords" says Kurzweil. "I'm working on creating a search engine that understands the meaning of these billions of documents. It will be rather like a human assistant who you can dialogue with; to whom you could exhibit complicated issues and even personal concerns. Wearing Google Glass, you’ll be able to annotate your reality. Also, this search engine could hear your conversations and give you valuable clues. For example, it might suggest you an anecdote that would fit perfectly in the dialogue that you have" says the visionary. 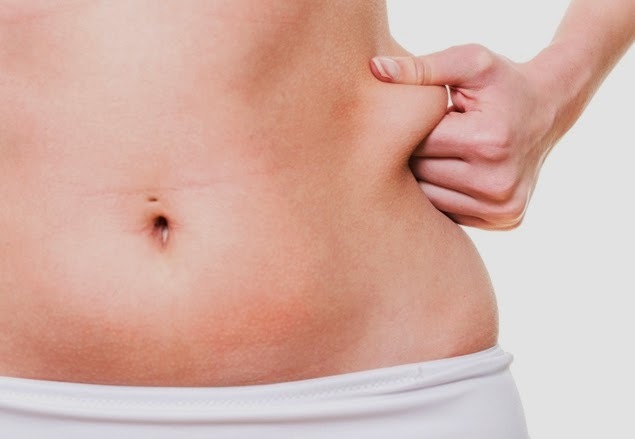 "A thousand years ago, it was in our best interest to store as many calories as possible. There were no refrigerators so that the body had to store calories in fat cells, but today this has led to an epidemic of obesity and type 2 diabetes. Thanks to the Human Genome Project, medicine has become a science, so that we learn how to exponentially reprogram this outdated software that comes with the body. The scientists have already conducted experiments on animals with diabetes, in which the managed to disable the insulin receptor gene. Animals subjected to this experiment ate heartily, but remained weak and were not diabetic, living with 20% more. I think this will become a reality in humans in about 5-10 years, giving us the ability to control our weight regardless of what you eat" Kurzweil predicts. "Currently there is this exaggerated enthusiasm for 3-D printers. Usually when people get enthusiastic too fast, this phenomenon is followed by disappointments and failures, the same has happened at the beginning of the last decade with the "dot.com crash". I think we are five years away from truly using the 3-D printers for important matters. At the beginning of the 2020-2030 decade I think we will replace a large part of production processes with 3-D printers. We could print clothes and there will be an open source market with free designs. There will be personal 3-D printers and shared ones available in your neighborhood coffee shop" says Kurzweil. “Computer games have pioneered virtual reality, and within 10 years (but probably five years) they will have an absolutely convincing virtual reality, at least in terms of visual and auditory senses. Also, there will be a quasi - simulation of the touch sense. To fully master the sense of touch we need to act on the nervous system and that will not happen in less than 20 years. We can send small devices, nano-robots to the brain and capillaries, and they will provide additional sensory signals that will appear to come from our real senses” says Kurzweil. What will be the benefits? “For example, you could meet with a friend who is hundreds of miles away and stroll along the Mediterranean Sea, holding you by the hand and feeling the warm, moist air waves" exemplifies the specialist . Kurzweil believes that "there will be a new revolution in agriculture, a vertical one, because now we use a third of the Earth's capacity to produce food, which is very inefficient. Instead we produce food in a vertical computerized factory, which will be controlled by artificial intelligence. 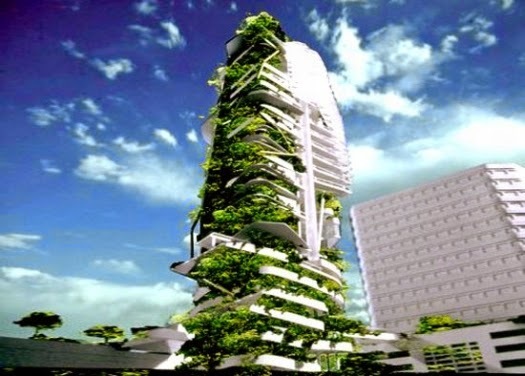 The plant will use the land more efficiently and recycle all the nutrients, so will have no impact on the environment. It includes hydroponic plants, fruits and vegetables and meat cloned in vitro. " Improved efficiency will not be the only benefit of this system. "We could benefit from healthier food, such as meat with omega-3 fats instead of saturated fats" said Google's visionary. In addition, the meat will be obtained by in vitro cloning of muscle tissue, thus eliminating the suffering of the animals. "We use new nanotechnologies in solar design and the costs are reduced significantly from day to day. A report recently published by Deutsche Bank pointed out that "in India and Italy the unsubsidized cost of solar energy is close to the cost of available energy into the power grid, and in 2014 another 11 countries will reach this threshold cost". So, I think in no more than 20 years we could get all the energy from the sun" says Kurzweil. "I introduced this thing not very long ago to the Israeli Prime Minister, Benjamin Netanyahu, who was my classmate at MIT Sloan School of Management, and he asked me:’ Ray, but is there enough solar energy to do this? ' My answer was "yes, there are 10,000 times more than we need" said Kurzweil. "Twenty years from now we will be able to add more years to your life expectancy than years already drained. Life expectancy has increased four times in the last two thousand years and has doubled in the last 200 years. Now we can reschedule the health and medicine systems as software so that the pace will continue to accelerate. There are three “bridges “that will allow us to extend our life expectancy. The first bridge is to take aggressive decisions that allow us to stay healthy today. The objective is to reach the second deck: biotechnological revolution, which will allow us to reschedule biology to avoid disease. The third bridge is nanotechnology revolution. 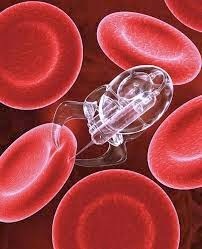 The best example of this is the nanobots that will be present in our blood stream and that will augment the immune system. Thus we can create an immune system that recognizes all diseases and can be reprogrammed to counteract pathogens". Which ones of Kurzweil predictions will come true, we’ll just have to wait and see. The future sounds bright and sci-fi. And it is near us! David Moyes - A football "genius" ? Day of the Dude: How often do we say 'dude'?